Virtually every workplace from the small home-based business to major corporations use Microsoft Office applications. 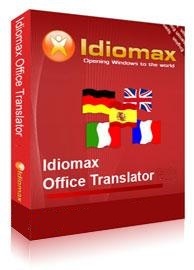 Now, with IdiomaX Office Translation software, more of those applications can be translated than ever before. The program simplifies and speeds up your translation tasks within Word, Outlook, Excel, PowerPoint, FrontPage and Access. And it lets you translate those applications in Seven language pairs, including popular English to Italian translation and Italian to English translation (see list below). Save translated texts in their original format or multiple formats(.doc, .docx, .rtf, .ppt, .xls, .xlsx, etc.). *Microsoft is a registered TradeMark of Microsoft Corporation.